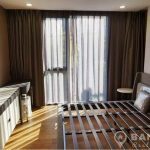 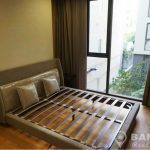 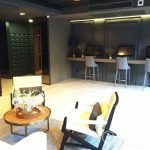 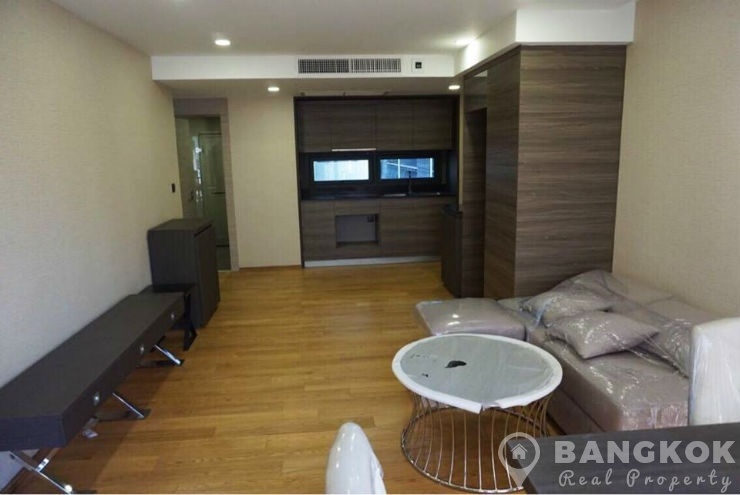 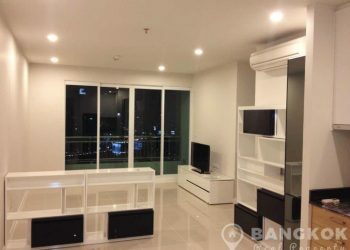 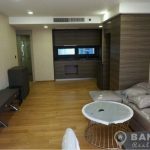 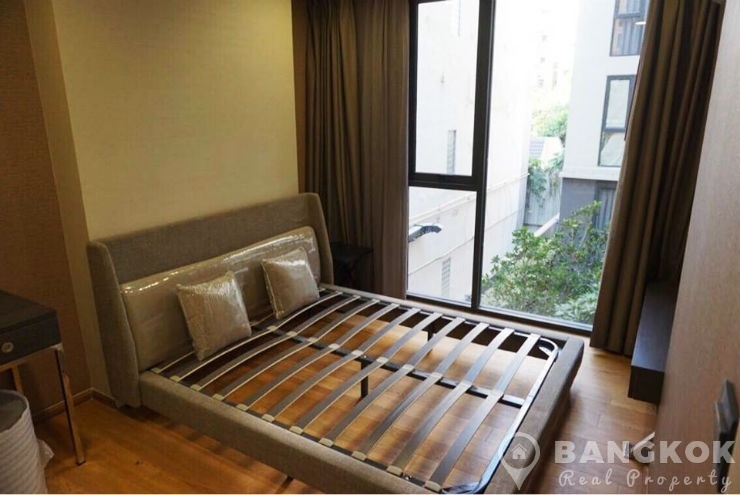 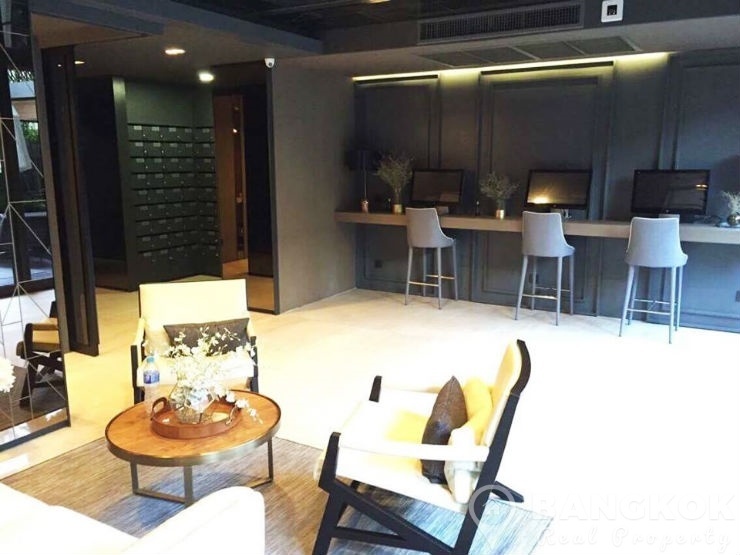 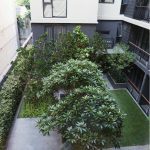 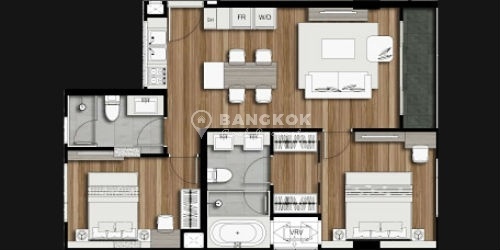 A brand new, stylish, spacious, 2 bedroom condo is now available for sale at Klass Condo Langsuan superbly located in the heart of central Bangkok just off Langsuan Road and just 6 minutes walk (500 metres) from Chit Lom BTS. 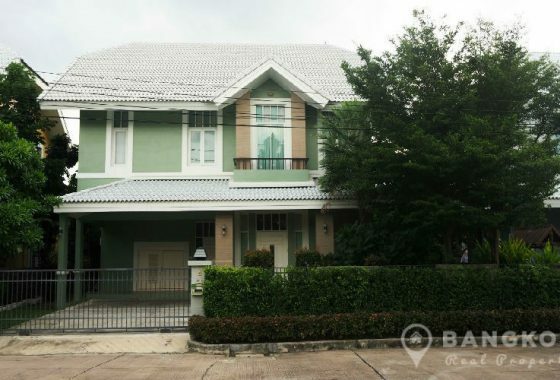 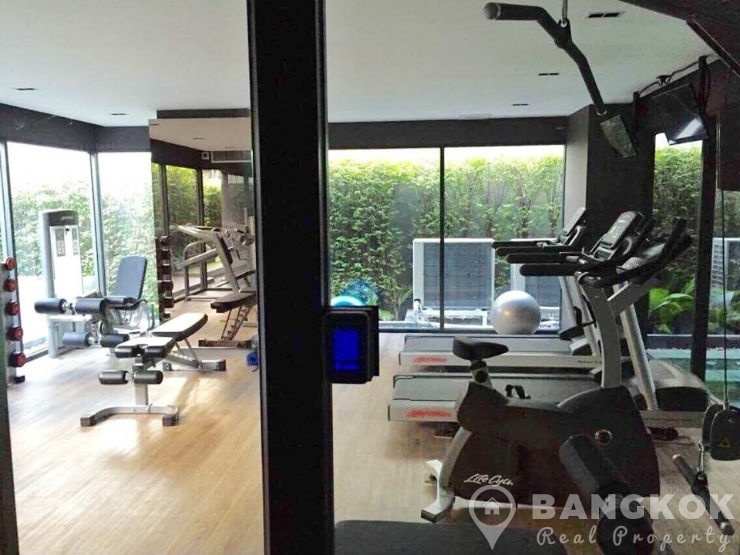 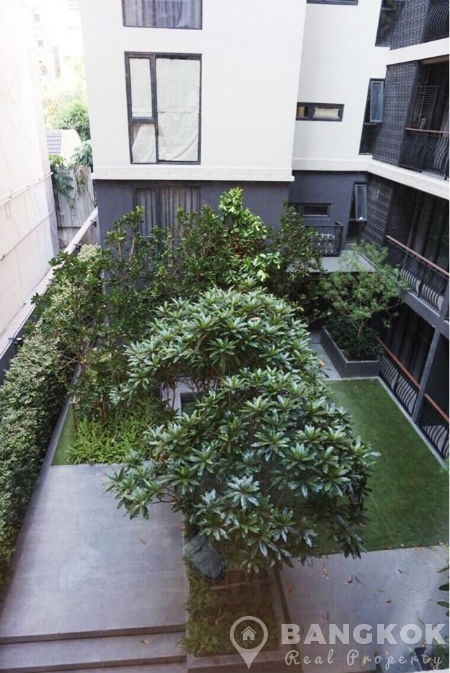 This exclusive, low rise just completed in 2016 by Langsuan Property offers residents easy access to the Grand Hyatt Erawan, the American Embassy, the British Embassy, Villa Market @ Langsuan, Villa Market, The Portico Langsuan Mall and the Royal Bangkok Sport Club Golf Course. 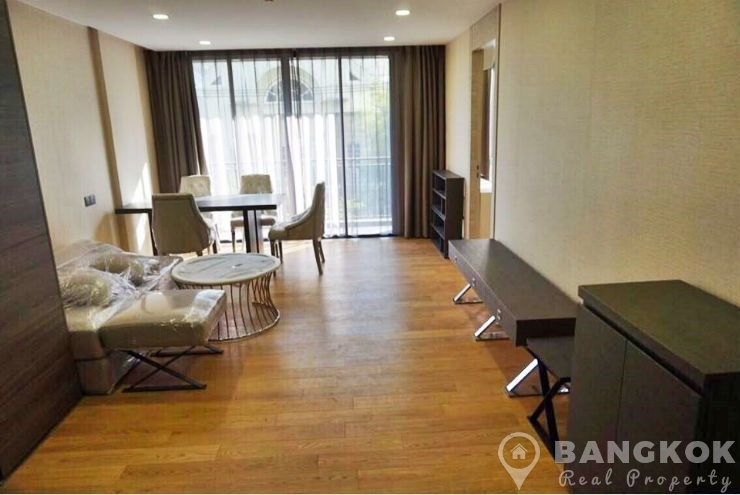 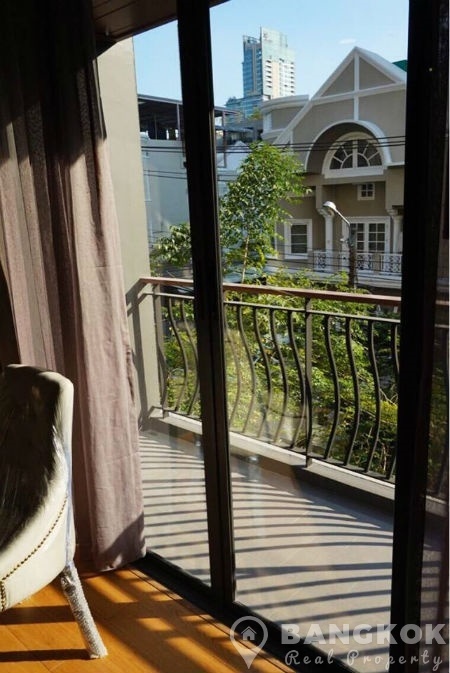 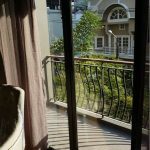 Situated on a mid floor of Klass Condo Langsuan this new corner unit has dual aspect views over the landscaped gardens and has 2 double bedrooms, 2 modern bathrooms (master ensuite) and 71.45 sq.m of living space with a large balcony. 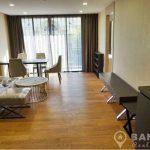 The open plan livingroom – kitchen has large picture windows and sliding patio doors to the balcony, good storage, modern European style kitchen with windows, fitted units and built in electric hob & extractor fan. 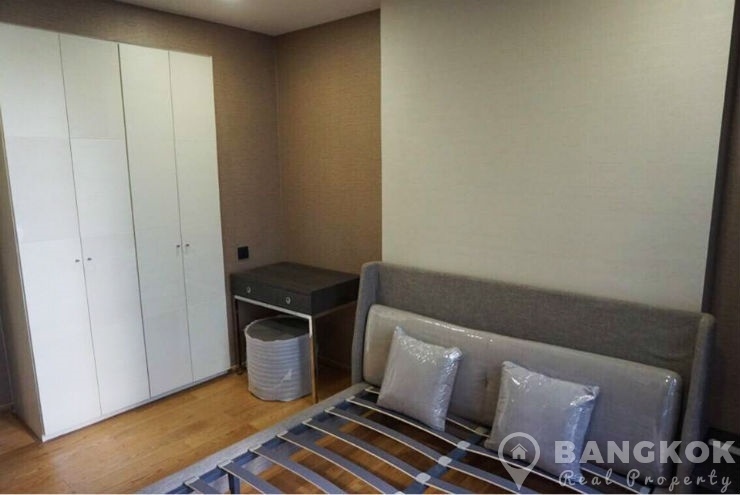 The unit has wooden floors throughout. 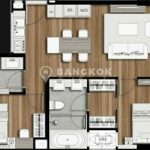 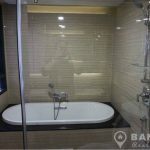 The master bedroom with large picture window, walkin in wardrobe and ensuite bathroom with large bathtub and separate power shower. 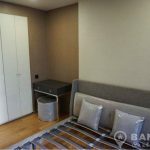 The 2nd bedroom also double size, has good storage, garden view and there is a main bathroom with power shower. 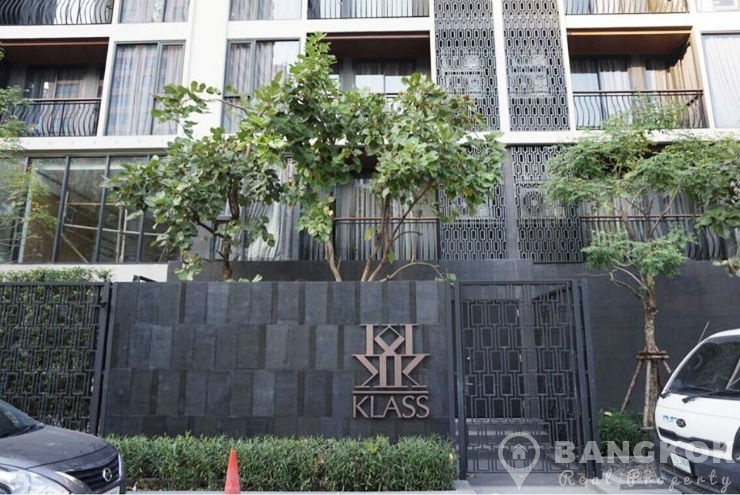 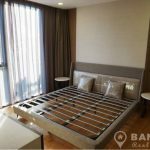 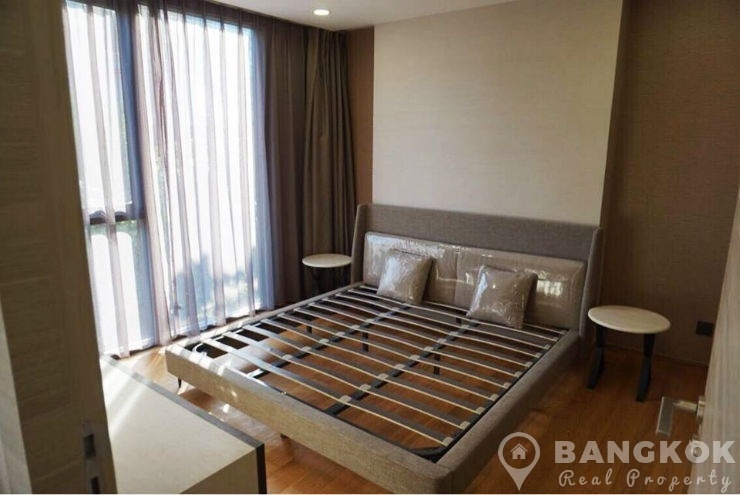 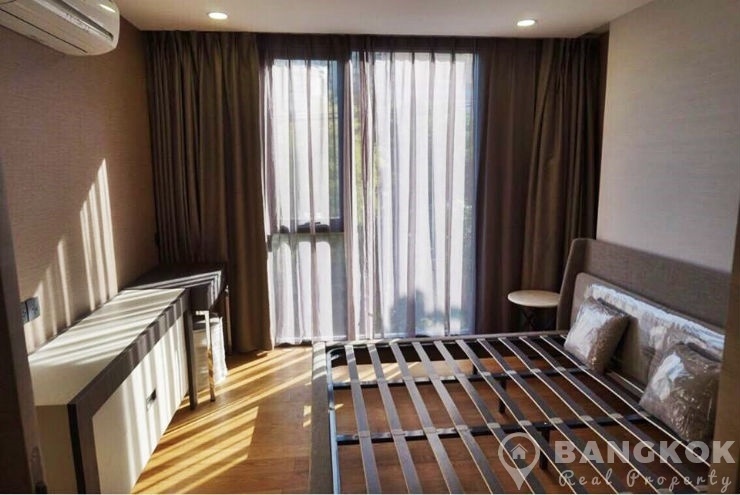 Klass Condo Langsuan is a condominium project, located just off Languan Road and just 6 minutes walk (500 metres) from Chit Lom BTS. 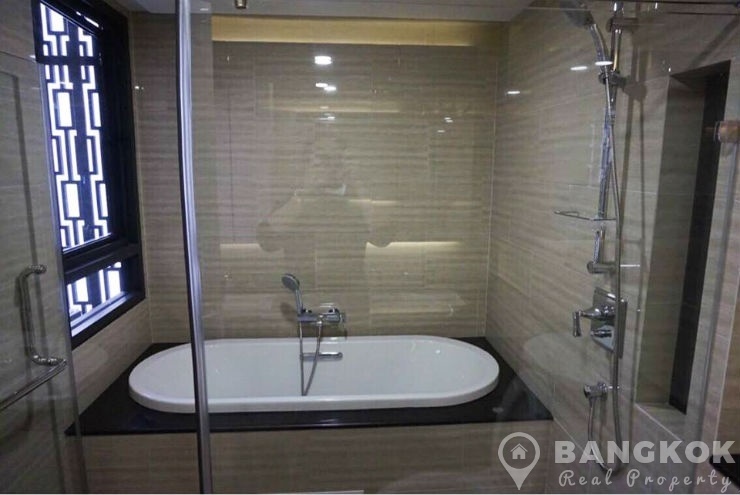 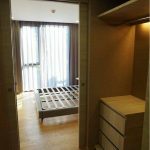 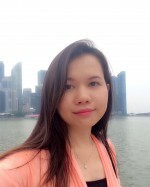 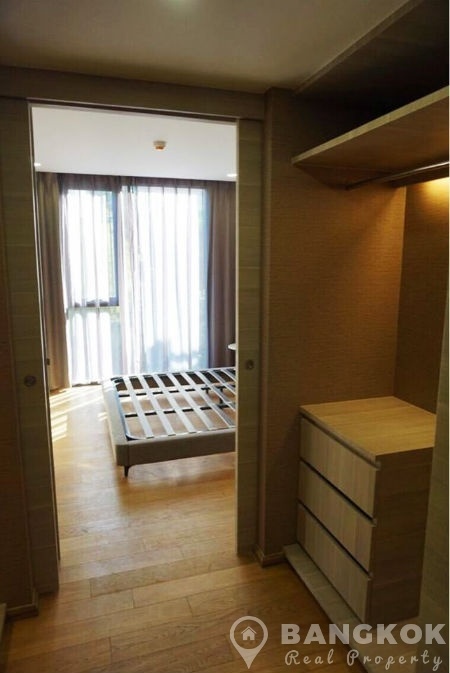 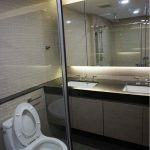 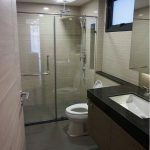 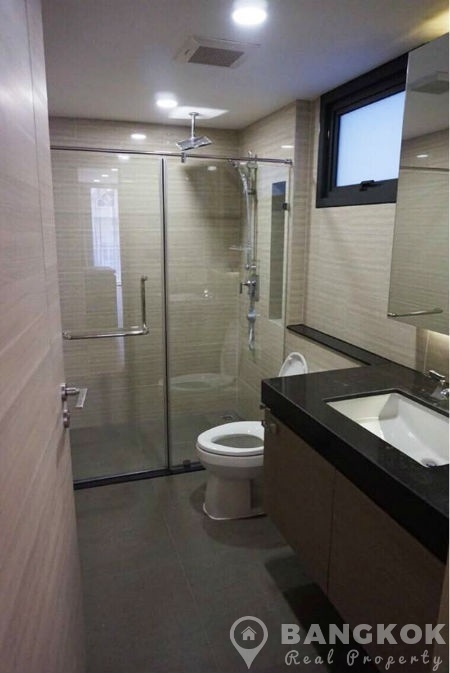 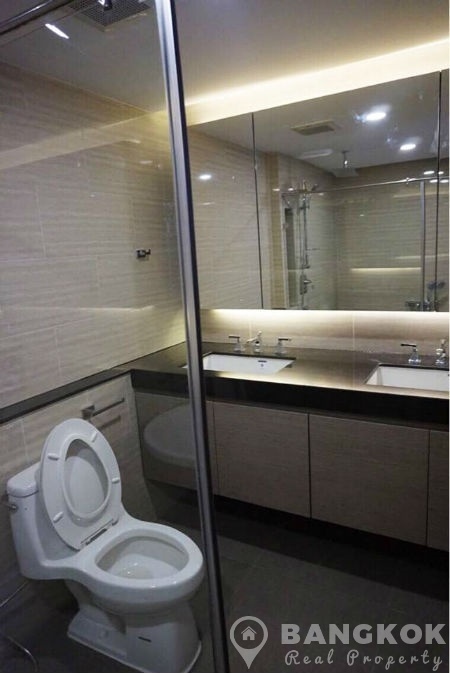 Developed by Langsuan Property, Klass Condo Langsuan was just completed in 2016 and this low rise project comprises of one building with 8 floors and a total of 110 units.